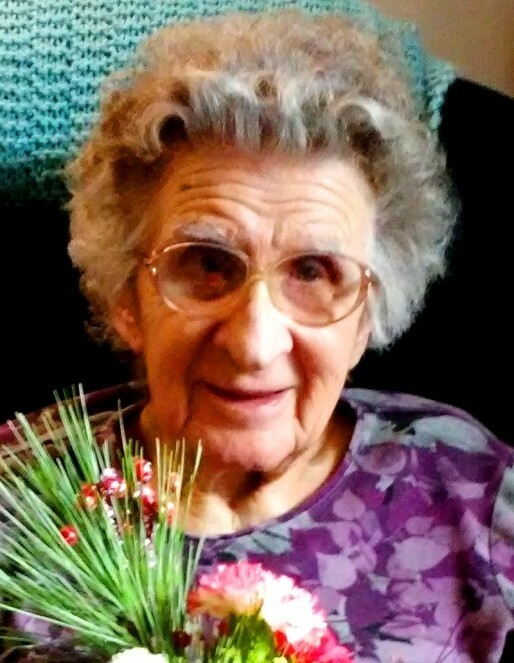 Doris Ruth Eldridge, age 93, died Saturday, October 20, 2018 at Lutheran Life Villages in Kendallville. Mrs. Eldridge was born in Wilmington, Delaware on February 17, 1925 to the late Raymond and Marian (Bouy) Slawter. She was baptized in 1937 at Immanuel Baptist Church, attended Conrad High School and graduated from Tower Hill High School, Wilmington in 1942. She received a Bachelor’s Degree in Music Education from The College of New Jersey in 1971 and retrained for certification in elementary education at Kent State University and East Stroudsburg University. She married the Reverend James Eldridge on October 28, 1944 and together they served in pastoral ministry for 50 years. She retired from teaching 2nd grade at St. Matthews School in Delaware in 1990. After she and her husband retired, they enjoyed traveling throughout the country and abroad. They were married 68 years before James preceded her in death December 5, 2012. Her ministry reflected her love of music, helping others grow in their faith and music potential, generous hospitality, spirit of giving and encouragement of others through letters and cards. She was also deeply committed to missions and prayer. Doris played the piano for 75 years and directed the choir and ensembles at the various churches they served over their 50 years of ministry together. She was a member of Cross Point Family Church in Kendallville and American Baptist Women. She loved reading, music, playing the piano, cello, and trombone. Son, David Eldridge of Citrus Heights, California. Daughter, Janyce and Roger Barnes of Kendallville. Three grandchildren: Sean Barnes, Erin Barnes, and Jessica Clifford. Sister-in-law, Naomi Reynolds of Pennsylvania. Brother-in-law, Paul Eldridge of Delaware. Funeral services will be held Wednesday, November 28, 2018 at 11:00 AM at the Lutheran Life Villages chapel, 351 North Allen Chapel Road, Kendallville with an hour of visitation prior to the funeral service. Pastor Pete Meneghello and Pastor Rich Secor will officiate the service. Burial will follow at Orange Cemetery near Rome City. In lieu of flowers, memorial donations may be made to their long time Haitian pastor and friend, Rev. Jean Abraham Lubin, c/o Dr. Kathlyne Lubin, 20 Burlington, Road, Tenafly, NJ 07670 or Sudan Interior Mission, P.O. Box 7900, Charlotte, NC 28241 or Campus Crusade for Christ, 100 Lake Hart Drive 2400, Orlando, FL 32832. Arrangements entrusted to Hite Funeral Home, Kendallville.